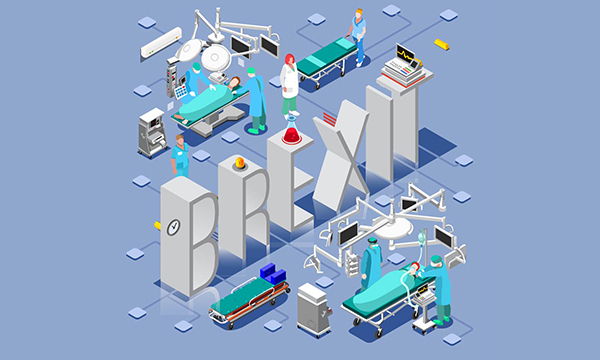 The first real post-Brexit policy direction for NHS staffing is an increase in the number of home-grown doctors, says James Buchan. Around one in three NHS doctors trained in another country. The government has said it wants NHS England to become ‘self-sufficient’ in doctors. The headline-grabber at last month’s Conservative party conference was the government commitment to NHS England becoming ‘self-sufficient’ in doctors. Funding for the projected 15% increase in the number of medical students will come from the Department of Health’s existing budget. But at a time when NHS funding constraints are biting deep, with stark warnings about reductions in in-service training budgets for NHS staff, no commitments were made about nursing numbers. We cannot deny there is a shortage of doctors in some specialties and regions and the shortfall of GPs is a particular policy concern. But without international doctors, the situation would be much worse. About one in three NHS doctors trained in another country. Achieving self-sufficiency will be costly and time-consuming, and we will have to wait 10 years or more for the scheduled increase in home training to have an impact on workforce numbers. Announcing this new commitment to doctor self-sufficiency at the Conservative party conference was no accident. The vote for Brexit was in part an anti-immigration vote, and a pro-Brexit government must keep its constituents and its media cheer squad happy. The right-wing press has been trailing stories about real or imagined risks of employing foreign doctors for years, and now we have the first post-Brexit policy direction for NHS staffing: more doctors, but they must be ‘our’ doctors. As is often the case with the NHS, it’s not possible to disentangle the politics from the planning.